Can I help you out a little? Don't think I'm crazy now, because it IS April, but trust me here. This year I have to make seven gifts for seven teachers/bus drivers/staff so keeping a tab on costs is a must but I still wanted to do something nice. Mani/pedi kits it is! So far, this is what I have to go in the kit: polish, pumice stone, polish remover and a mini-kit. 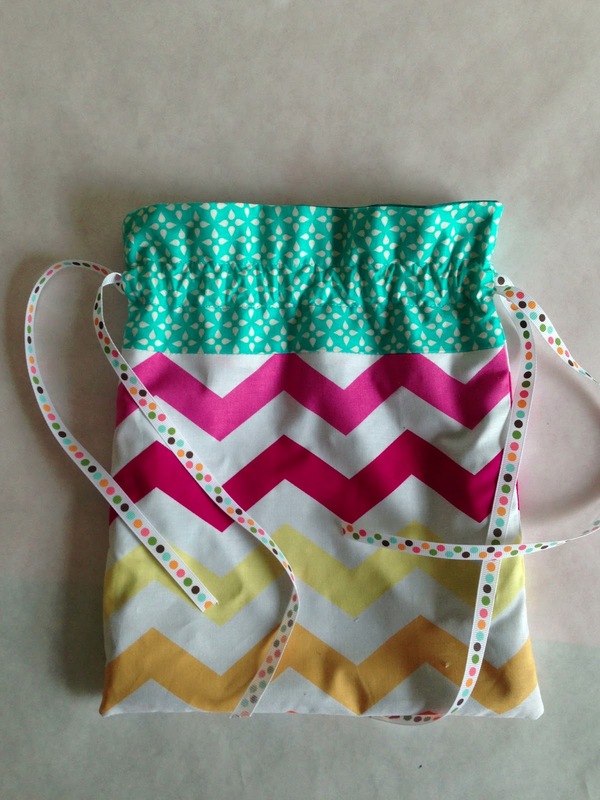 Then for each kit I'm making an adorable drawstring bag to hold it all! The free tutorial can be found HERE on In Color Order and I whipped it up in about 15 minutes. 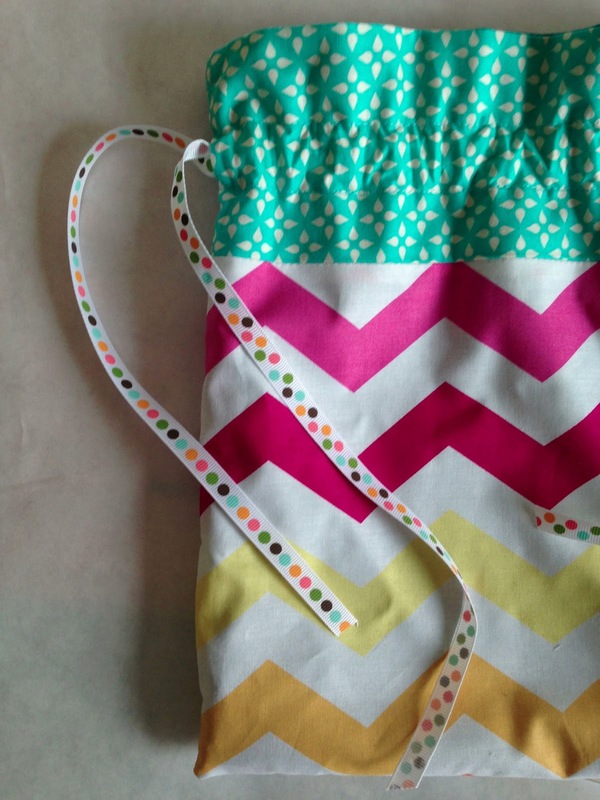 If you can measure, cut and sew straight lines, you can make these! The tutorial is awesome and easy. So what are you making this year? Need some ideas? How about chapstick cozies? Or a nest pendant? Or glass marble magnets? Here's what I did two years ago ...I can't seem to find a post for last years but I know I had Moses draw a portrait of each teacher then embroidered that. It was a huge hit! Sooooo...what are you making this year? That is an awesome gift! I would be thrilled to receive one of those bags from a student. Also, it definitely put a smile on my face that it's getting close enough to the end of the school year to start thinking about gifts. Hi can't locate your tutorial on how to make those adorable fabric gift bags for teacher appreciation week..
Hi can't seem to find the tutorial for the fabric gift bags. Searched several links. So cute, they will love those!